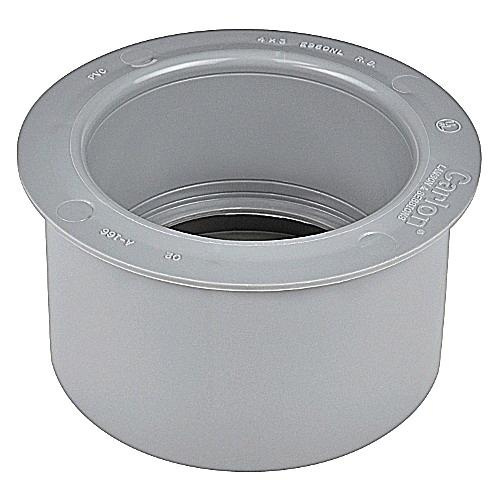 Thomas & Betts Carlon® Non-metallic reducing bushing of trade size 3-Inch x 2-1/2-Inch, is suitable for connecting different sized rigid conduits. Bushing in gray color, features PVC construction. This schedule 40 and 80 bushing has bell to spigot connection. It measures 1-15/16-Inch x 2.89-Inch ID x 3.5-Inch OD. Bushing is cULs E32447 listed, CSA certified and RoHS compliant.